These delicious organic Carrot Cake Soft Oaty Bars contain a succulent blend of wholegrain oats, raisins, coconut, carrot and apple juices, and orange oil. The tasty combination of ingredients helps your toddler explore new flavours and textures. Each bar provides a great source of fibre and a scrummy snack all rolled into one! All the ingredients are organic and there are no added nasties so you can be reassured that you are giving your little one nothing but goodness. Not suitable for children under 12 months. Wholegrain Oats 46%, Raisins 32%, Sunflower Oil 12%, Carrot Juice Concentrate 7%, Apple Juice Concentrate 2%, Cinnamon <1%, Orange Oil <1%. Contains oats. May contan dairy, nuts and soya. 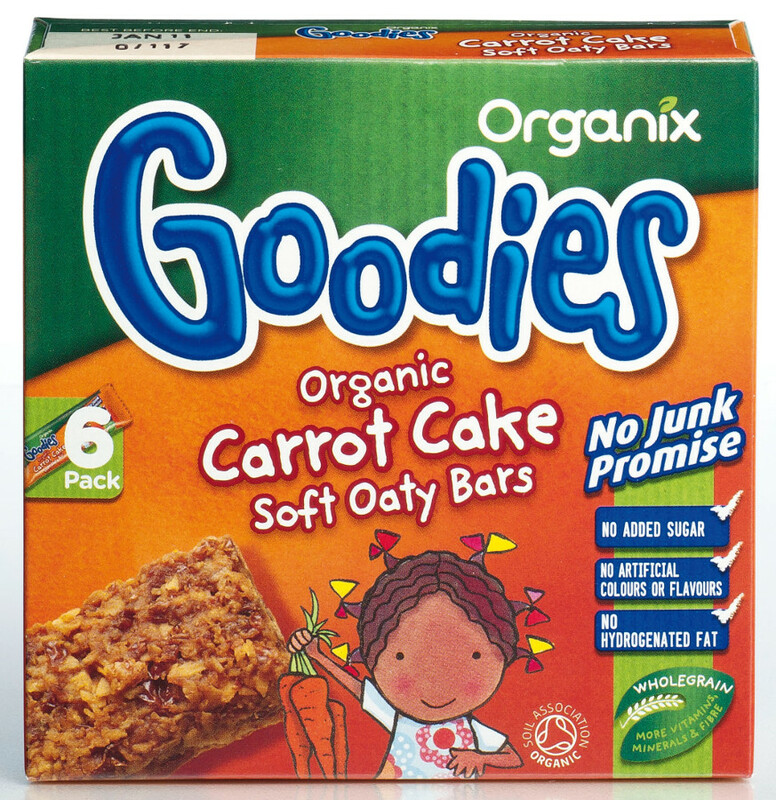 The Organix Carrot Cake Soft Oaty Bars - 6x30g product ethics are indicated below. To learn more about these product ethics and to see related products, follow the links below. Finally, carrot cake without wheat or dairy. Soft and moist. 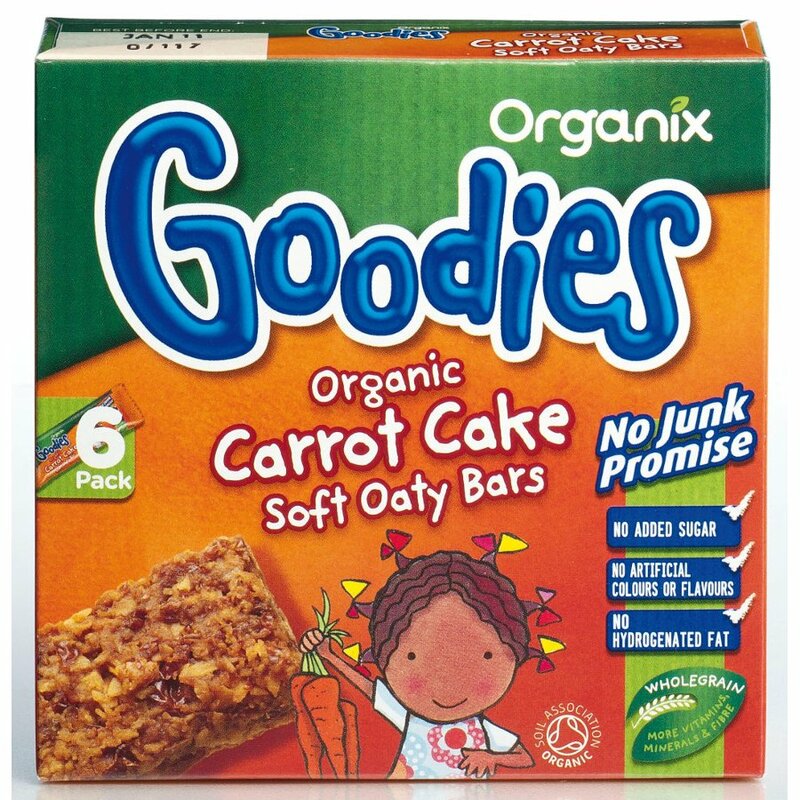 There are currently no questions to display about Organix Carrot Cake Soft Oaty Bars - 6x30g.